Incase Sonic review | What Hi-Fi? 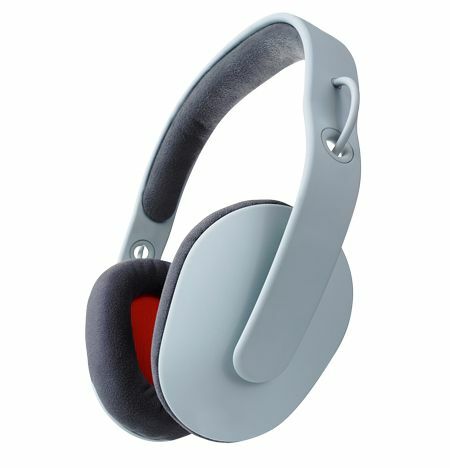 Unlike rivals like the House of Marley Freedom headphones which use a smorgasbord of materials to create a product, the strikingly minimal Incase Sonics use very few. They're mainly plastic (though finished in a beautifully tactile 'soft-touch' coating), with a touch of suede to cover the memory-foam pads. Incase supplies two cables, one to match the finish of the 'phones themselves, one to match the colour of the driver covers – both feature in-line remote and microphone functions. If your headphones have to match your loft-apartment hipster lifestyle, the Sonics – with their gentle curves and hidden joints – could be just the ticket. Despite not being the lightest 'phones we've tested, and despite the apparent lack of adjustability, the Sonics prove to be extremely comfortable on the head – the carefully shaped earcups are sufficient to cover all but the most generously sized ear. They prove stable and secure when on the move, and we fancy many an owner will be more than happy to be seen out and about with their new cans on. There's a lot to like, too, about the sound the Sonics make. They're a fairly dramatic, up-and-at-'em listen, as lean as a greyhound and with a similar turn of pace. A full-fat file of Björk's Bachelorette is launched like a rocket by the Sonics – it brims with drive and attack, positively revelling in the dynamic variances. The Incases delve deep into the mix, too, dredging up the finest of details and giving a fairly forensic overview of the entirety of a recording. Low frequencies are solidly punchy and square-edged – substantial in a light-heavyweight sort of way but not overblown – while gratifying detail levels make every singer sound characterful and expressive. The midrange is undeniably bony, though – any richness in a vocalist's delivery is traded in for detail and immediacy. We're laying at least a portion of the responsibility for this midrange wiriness at the feet of the treble reproduction. It's emphatically not a trait of all titanium drivers, because we've heard plenty that aren't shrill and metallic, but in the case of the Sonics the 4cm titanium driver in each earcup is just that – shrill and metallic. A treble-happy recording like Daft Punk's Revolution 909 is crisp and bright at moderate volumes; wind it up just a touch more and it starts to get actively painful. We're all for a bit of sparkle in our cans, but here Incase has comprehensively overplayed its hand. It's a real pity, because in many ways the Sonics are beautifully realised headphones, as covetable in their own too-cool-for-school way as the B&W P5s. If they sounded half as accomplished as they look... well, then we'd love them.